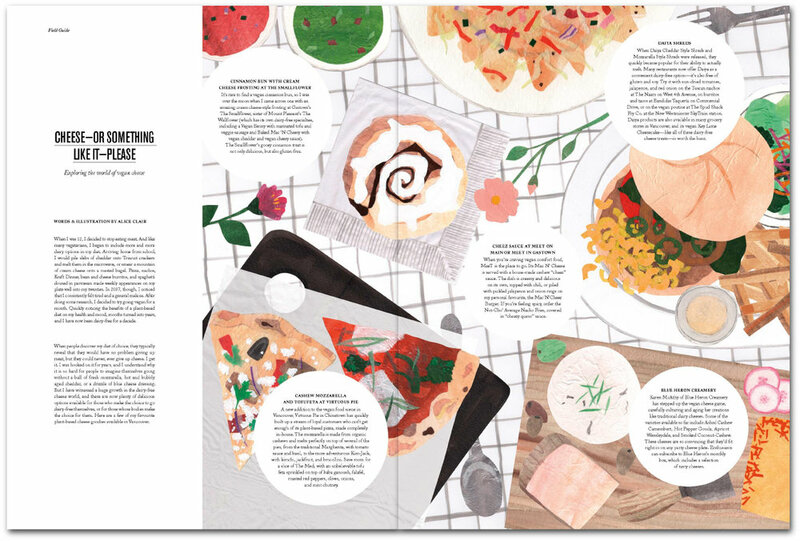 Wrote and illustrated an article of the best places in Vancouver to enjoy vegan cheese for SAD Mag issue no. 23, Cheese. Hand painted tissue paper was cut out and assembled onto paper to provide visual texture. Art direction and layout design by Pamela Rounis.